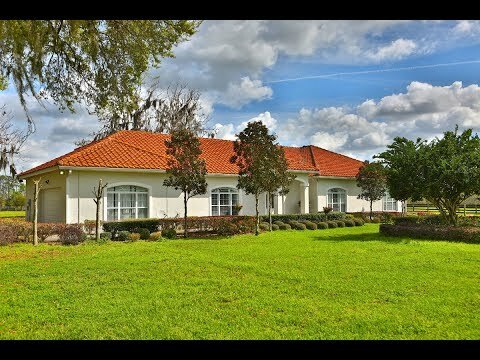 Stunning location 42+ acres right in the heart of NW Ocala. Hacking distance to HITS and very close to Golden Ocala’s New World Equestrian Center. Spectacular views of beautiful green pastures and live oaks. 3 Bedroom, 2.5 bath home with many upgrades, including Chef’s kitchen, 10 foot high ceilings and split bedroom floor plan. This farm is perfect for any discipline. This property is conveniently located close to HITS and the World Equestrian Center.